Before the decorations were setup for the ceremony. Inside the venue was amazing. The reception area was already decorated which was great being that it was 9AM. I had the opportunity to grab a few shots of decorations and atmospheric presence the barn gave off. The reception area looked amazing. The color scheme really brought ot the rustic element of the venue. Slider shots inside the barn! 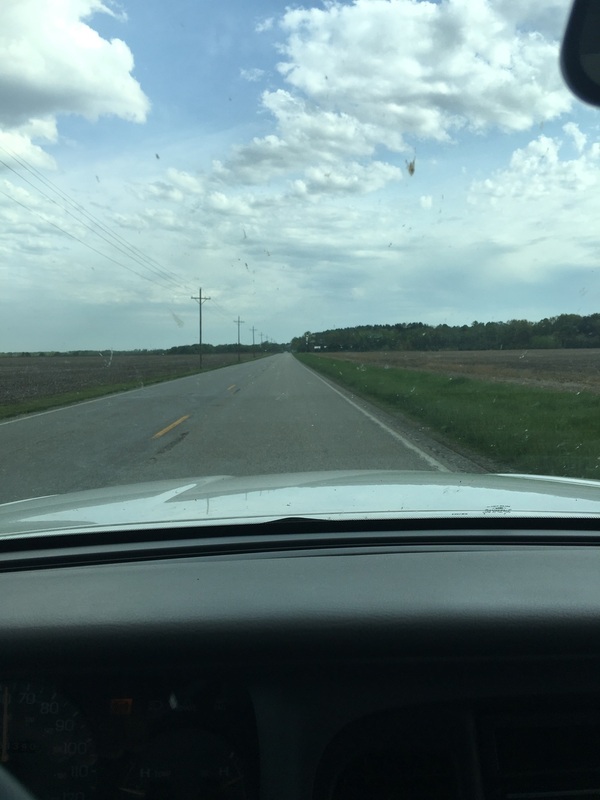 Upon arriving at the home I immediately recognized that there were cows grazing directly across the street. I tend to typically grab scenic shots in each environment I film. I do this to help inform the viewers of the overall feel from the environment. There was a point where I made sounds to get their attention and was startled by their staring at me lol. The home where the bridal party was getting prepared was huge. Large backyard with a homemade zip line! Reveal shot of the home. The bridal party consisted of the 5 bridesmaids and three flower girls. 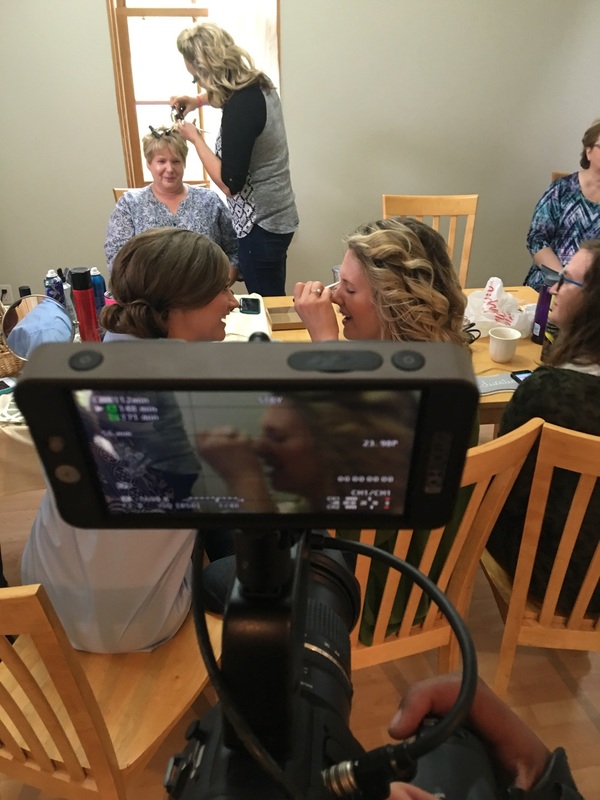 I was able to capture moments of them getting their makeup applied while they casually engaged in conversation with one another. I always tell wedding parties to "casually ignore" me as I follow them with a huge camera. Always makes for a good laugh. The ladies were great and were listening to music that ranged from Stevie Wonder to Marvin Gaye. I found myself humming the lyrics while filming! Next up were the dress shots! I try to find very creative ways to show off the Bride's Dress. The dress was initially hanging up in one of the bedrooms though I didn't think it did the dress justice. I went on a search around the home to find a great place to hang the dress. Lo and behold! This shot could give an anxiety attack as the dress hung 20ft in the air though it surely was a highlight of the day! After filming the ladies, shoe and dress shots, the guys began arriving. This is typically the point where you hear tons of jokes. I did, and they were hilarious. They got dressed within 10 minutes, which allowed me to get shots of them conversing with one another. After gathering shots of the bridesmaids and groomsmen. It was time for the groom to lay eyes on his bride for the first time that day. The minutes before the First Look seemed like they were anxious for Phillip. He stood in one direction waiting for the hand of his bride to touch his shoulder. When Phillip turned around all he could say was "Wow." Anna's glow was amazing! She was so happy to see Phillip and share this moment with him. It was awesome to witness this firsthand. Moments after the first look! Next up were the the bridal party shots outside the home. This gave me and the photographers the opportunity to split the group up and get a variety of different shots. The rural view in the backyard was really nice. I wanted to capture the vastness of the areas with every angle. 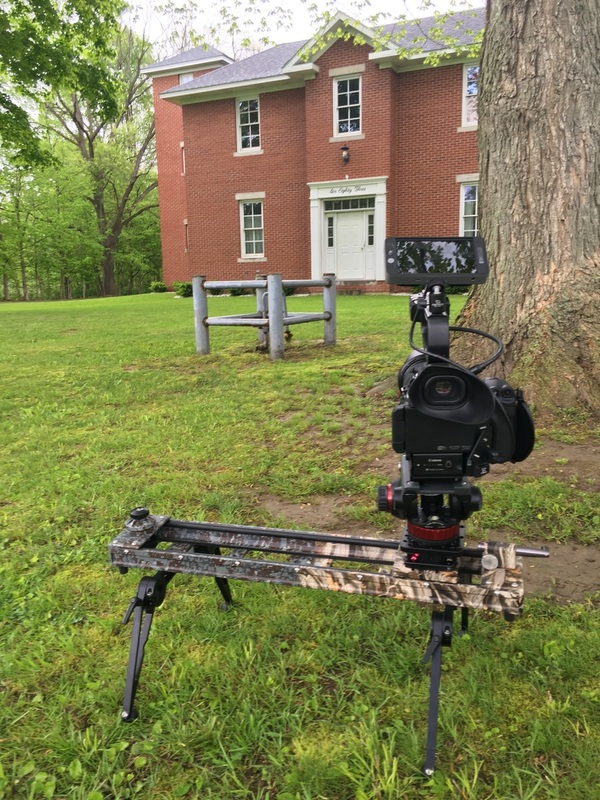 Shoulder rig to capture those candid moments. Beautiful wedding party made for beautiful shots. After the wedding party shots, it was time to head back to the wedding venue. The rain was a nuisance as it prevented us from doing certain things and this became a cause for concern as we neared the ceremony start time. The rain did not prevent the venue from looking amazing though. The bridge leading to the ceremony area. Awesome picture from Higher Eye Photography. The clouds look amazing over the barn in this picture. After setting up my camera rigs for the ceremony, one of the photographers approached me and told me there was an ice sculpture being created for the wedding couple. I grabbed a camera and was on my way to grab a few shots of it. This was first time seeing this in person, let alone filming it! The rain looked like it would begin to pour down so I had to take precaution. Bags over the gear to keep the malfunctions away! 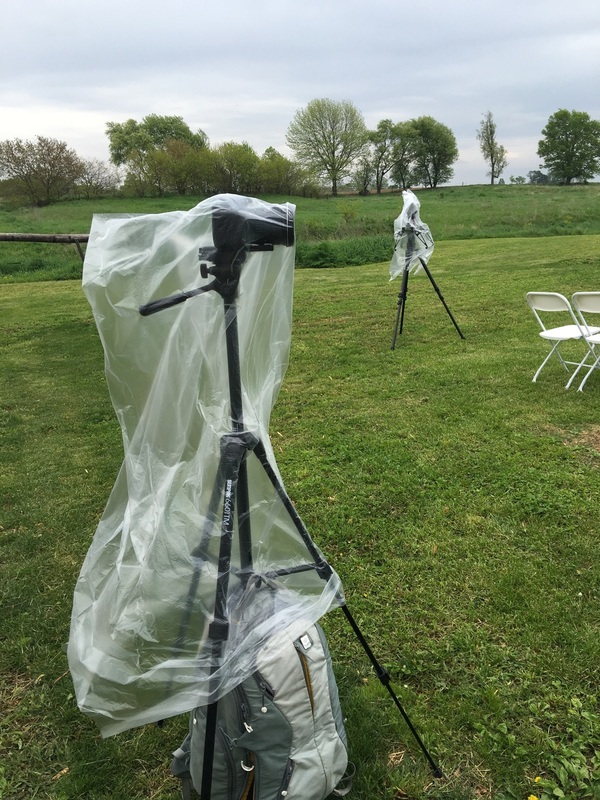 As guests began to arrive to the venue, the clouds allowed the sun to peer through the clouds. By the time the ceremony began we were in the midst of a beautiful day. What more can you say about this photo? Close up shot of the Bride, Groom and Pastor. Medium shot of the ceremony proceedings and guests. Say Cheese for the Drone! One pronounced Husband and Wife, it was time to capture individual shots of the bride and groom together. This is where the magic happens. A behind the scenes look at the photographers doing what they do best. Once we got those magical moments from the couple captured. It was time for the party to begin. The speeches were heartfelt and the dances were meaningful. The Best Man giving his toast. So awesome to see their love for one another. Camera's perspective of the First Dance. I almost forgot about the amazing cake! Lets just say this cake is one of the best wedding cakes I've EVER tasted! Overall I had an amazing time capturing this wedding. Anna was such a beautiful and happy bride. Phillip was great and an awesome example of a godly man who loves a woman deeply. Thank you all for allowing me to capture your special day! Beautiful Couple! 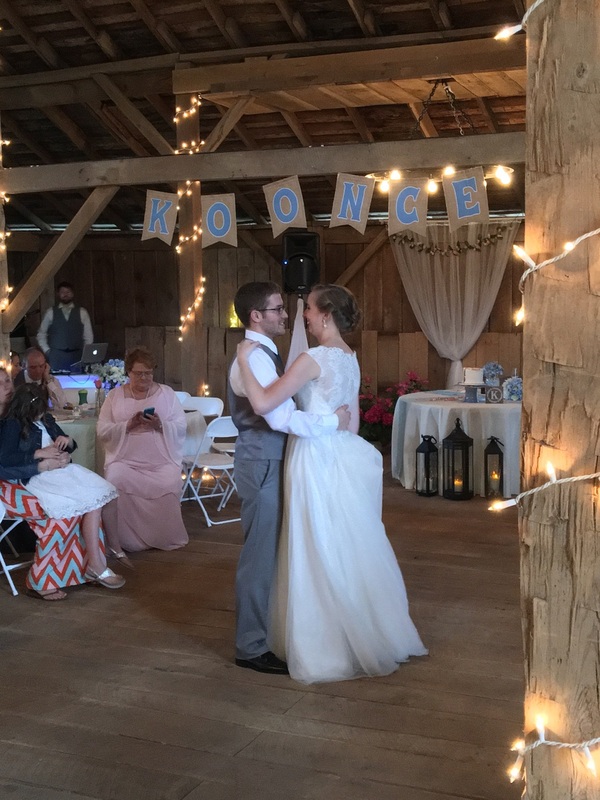 The Koonce Family.